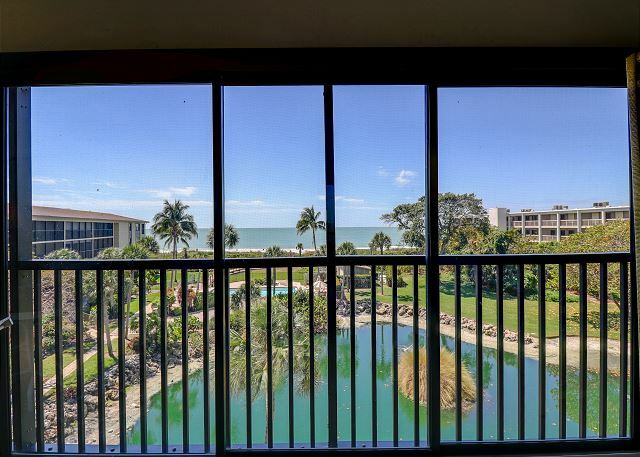 Welcome to your new Gulf Front slice of paradise with enchanting views and a location in the desired West Gulf Drive area that can not be beat! 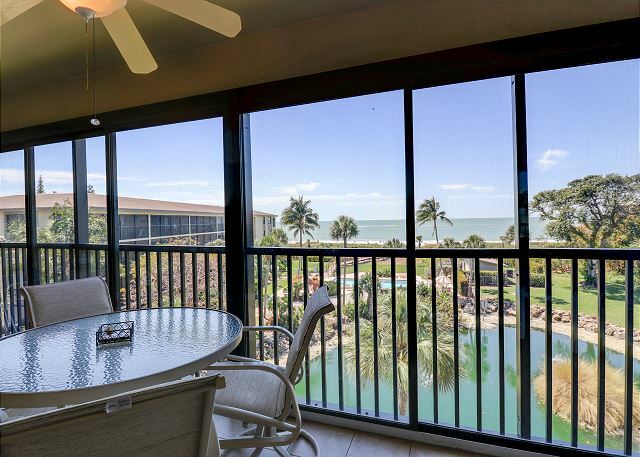 This 2 bedroom, 2 bath, top floor condo features expansive and direct views out over the Sand Pointe complex and pool area and beyond to the Gulf of Mexico! 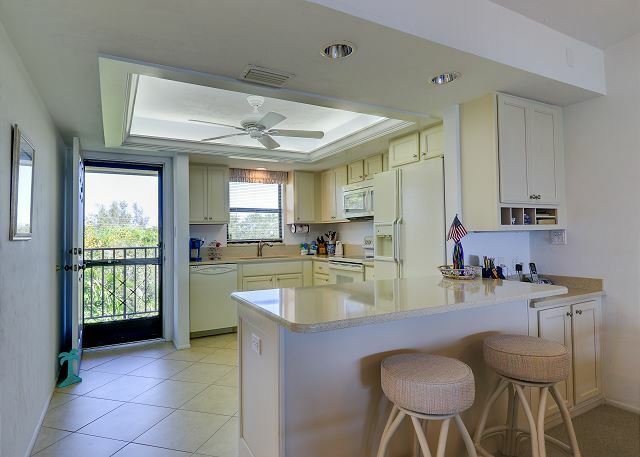 Upon entering the condo you will be greeted with a comfortable and convenient open-floor plan consisting of the kitchen, dining, and living area. 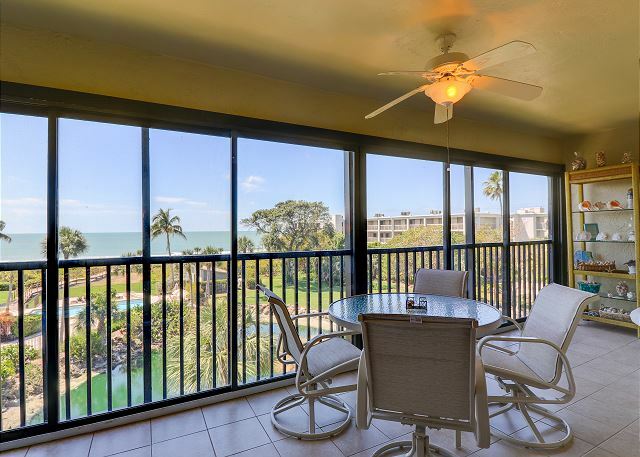 Beyond that is the very spacious lanai porch which is screened and also glass slider enclosed to suit your needs for all weather conditions! 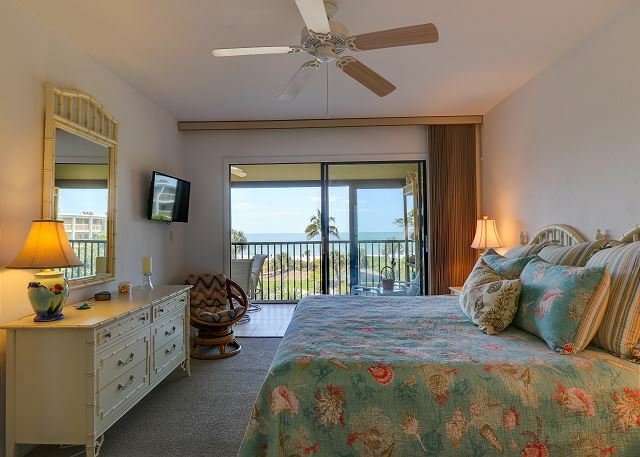 The master suite boasts a king sized bed and water views through your private sliding door access out to the lanai porch. 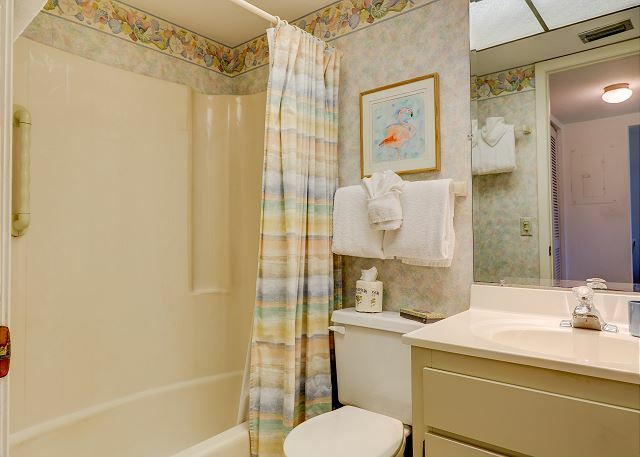 The master bathroom has been updated with granite countertops and a newly redone walk-in shower. The guest room features 2 twin beds and a shower/tub combo in the second bathroom. 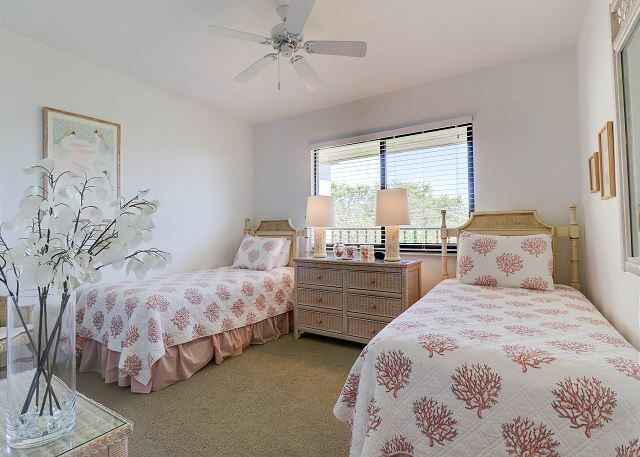 This prime location is situated mid-island only a few steps to the white sandy, shell-strewn beaches and very close proximity to many restaurants & shopping which are quickly and easily accessible by using the nearby bike paths. 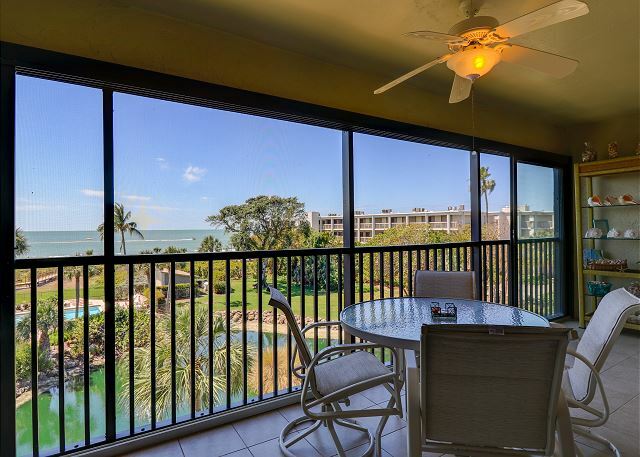 This is truly island living at it's finest - Come and see for yourself! 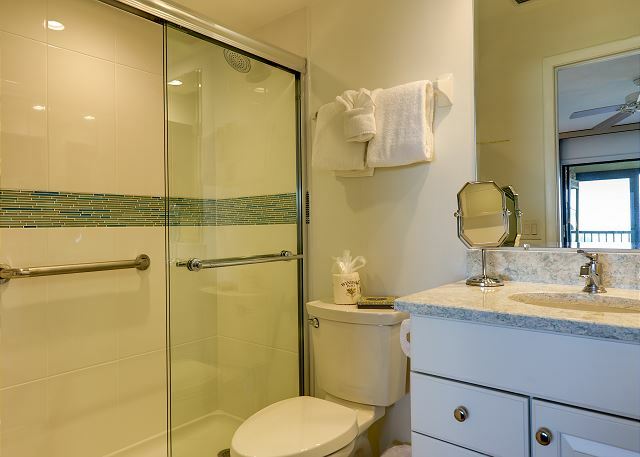 Condo amenities include: 2 bedrooms/2 bathrooms -- 1 King bed & 2 twin beds (sleeps 4), 3 TVs & DVD player, free WIFI & cable, shared heated pool, in-suite washer & dryer, fully equipped kitchen, elevators, covered parking. No Pets allowed. Bed linens and Bath towels included. 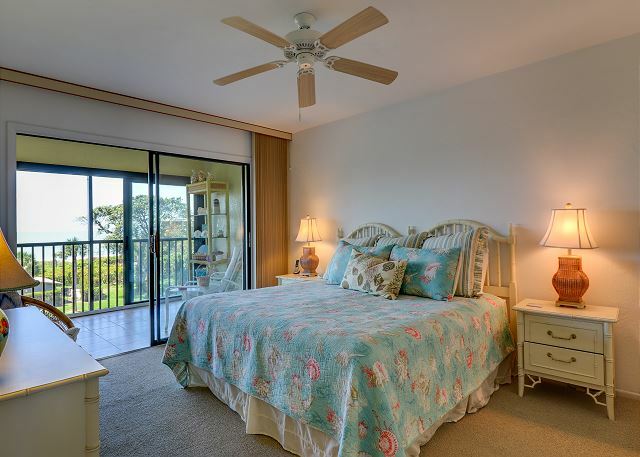 This unit comes stocked with beach chairs, beach towels and an umbrella. 7 night minimum rental period is required. Sand Pointe is a tobacco free property. This unit is non-smoking with a maximum occupancy of 4 people. 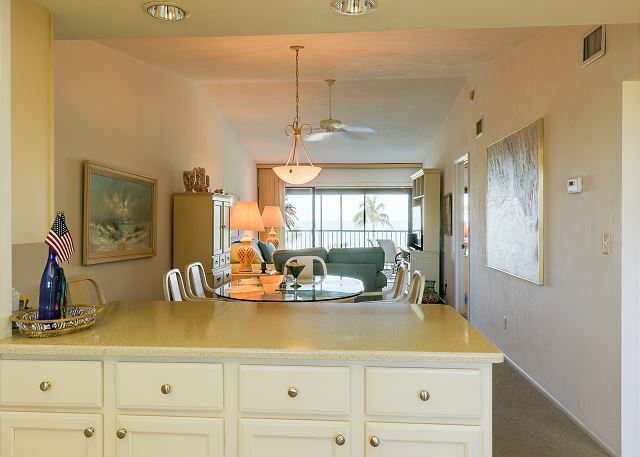 Guest Reviews of sand pointe #233: a stunning 3rd floor, direct gulf front condo on the beach! 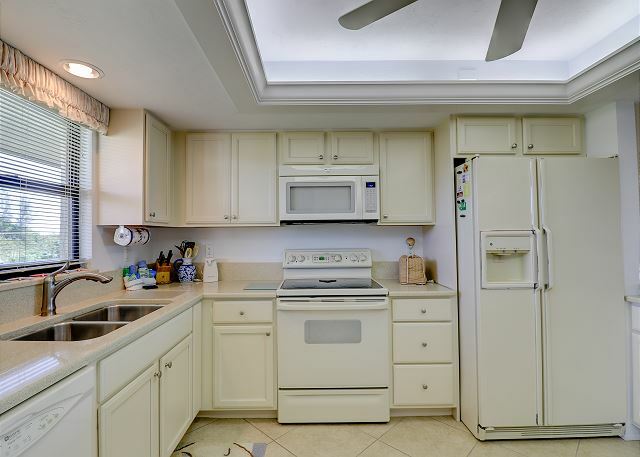 Lovely condo with beautiful view, nice furnishings, well equipped kitchen. I would deinitely rent it again and also liked working with the rental agency. Thanks Rob. The only negative was not having a storage locker on ground floor for the beach chairs but we solved that by leaving them in our trunk so it sid not become an issue at all. Great place. 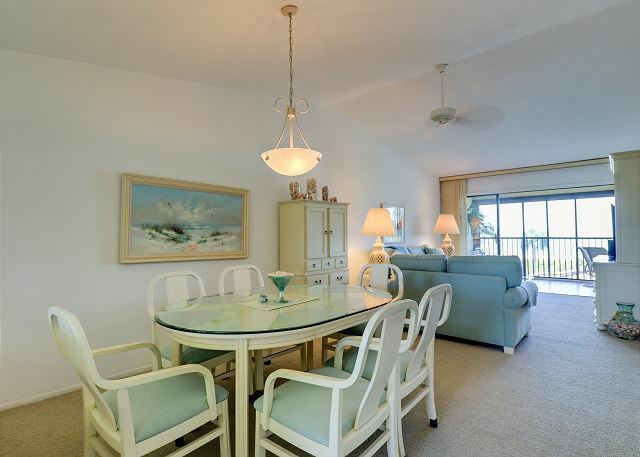 Thank you so much for your review of Sand Pointe 233! We are so happy you enjoyed your stay. It was a pleasure working with you as well and we are so happy we could help you plan for this trip! 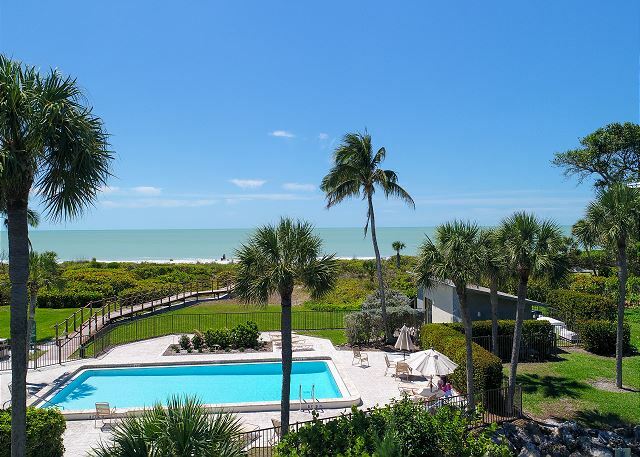 We hope we can help you have another trip to Sanibel in the future! 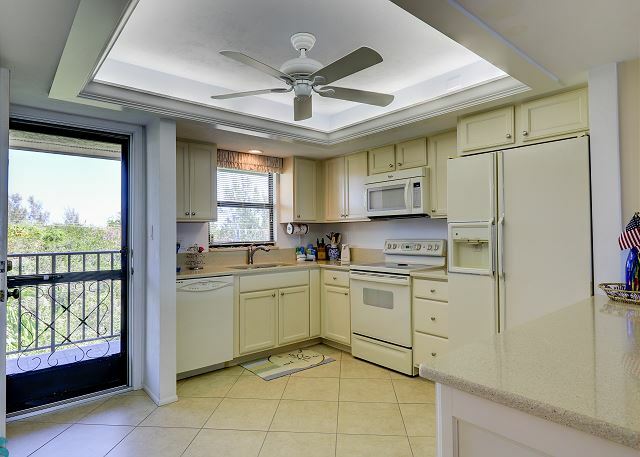 Beautiful view, good location close to shopping, restaurants and walking trails, clean, comfortable condo with several shell collections displayed. SBL was helpful too. Thank you so much for your review! 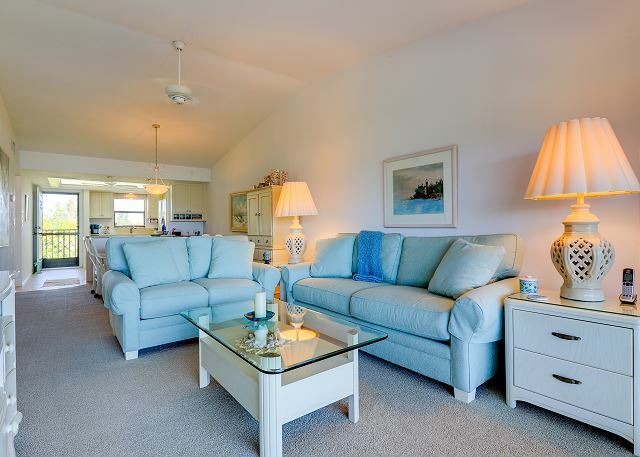 We are so glad that you enjoyed your stay at Sand Pointe 233! It was such a pleasure getting to know you both! We hope to you again next year! Review by DAVID L C.
Thank you so much for your review! 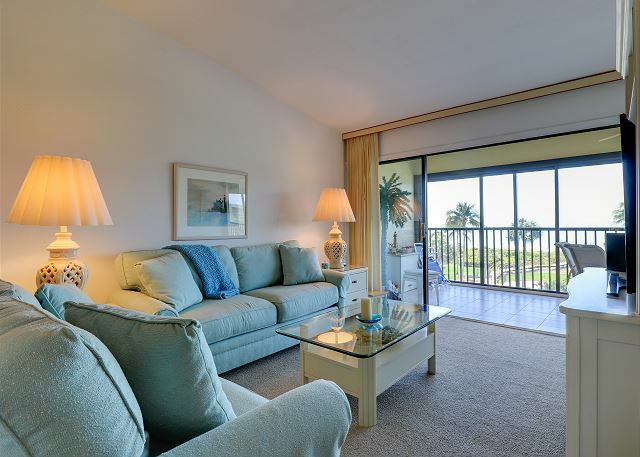 We are so happy that you enjoyed your stay at Sand Pointe 233! We hope to see you again in the future. It was a pleasure meeting you! only stayed overnight due to illness. Thank you so much for your review! 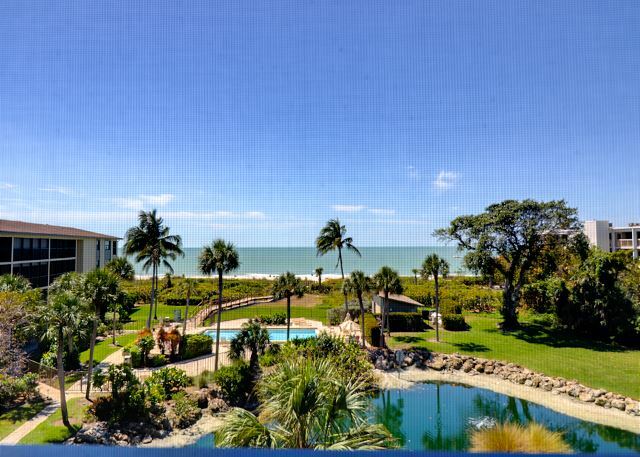 We hope to see you again for longer the next time you can visit Sanibel! We had a wonderful week on the island. I would highly recommend #233 to friends or family. Thank you so much for your review! It was a pleasure working with you! 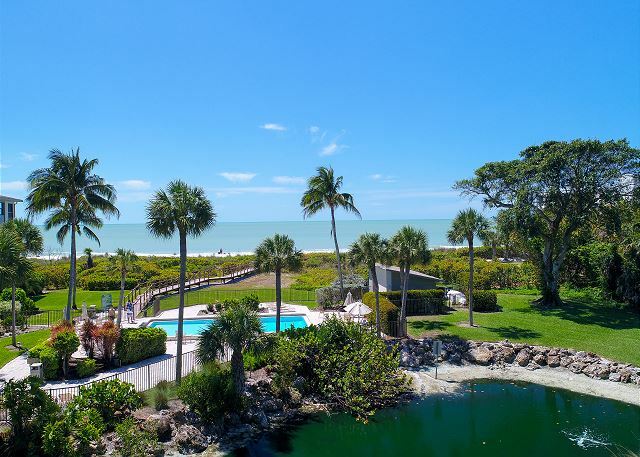 We hope you will stay with us again when visiting Sanibel! Overall our stay was very good. 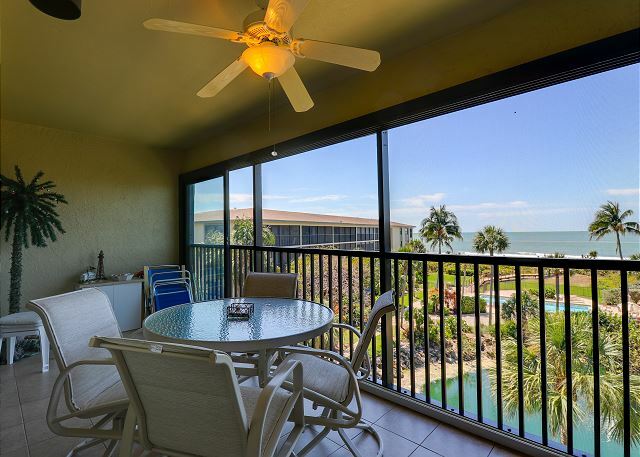 The condo was clean and property was well maintained and updated.We have been to Sanibel many times and the location of the condo was perfect. Our only complaint was the sleeping pillows were not comfortable at all and there were no other pillows in the condo to choose from as in all other locations we have stayed in. Also, the second bedroom needs a set of curtains to help block the morning sun. 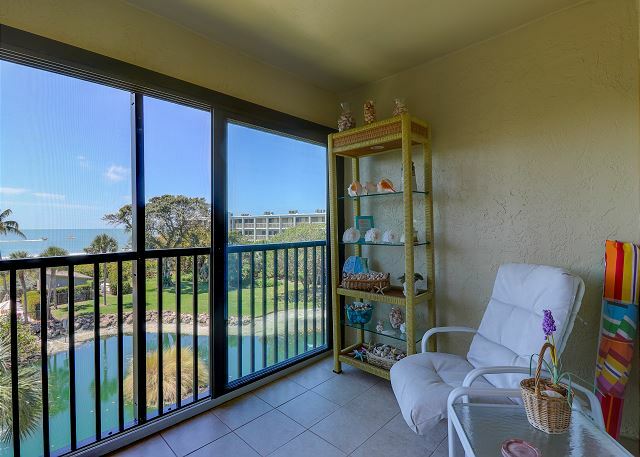 Thank you so much for taking the time to leave this review of Sand Pointe #233! 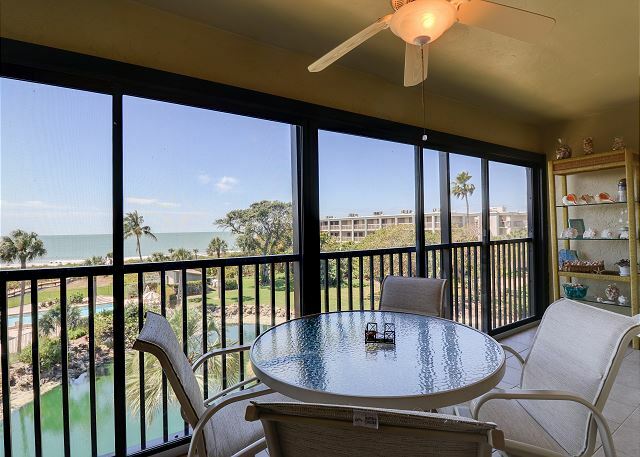 If you stay with us again while visiting Sanibel, please give us a call and we will be happy to replace anything you need to make your stay more enjoyable. It was a pleasure having you and we hope to see you again soon! The condo is exactly as advertised. 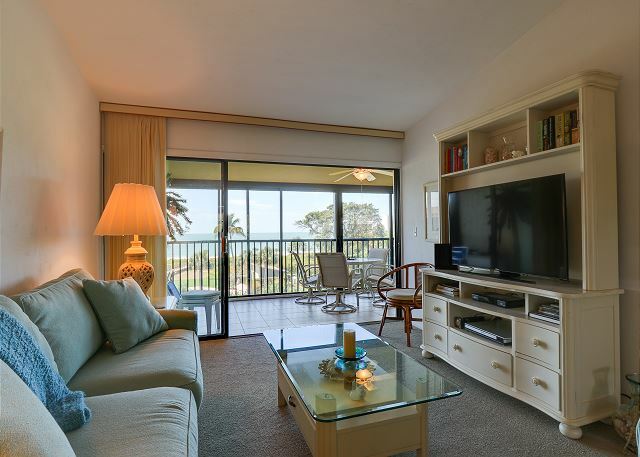 It is the best stocked condo we’ve ever rented - it has everything you need. Great location to ride bikes to local restaurants. Excellent rental. We are so glad that you enjoyed your stay! We truly appreciate your feedback! We hope to see you again next year! Thank you so much for your feedback. We are so glad you enjoyed your stay! We had a very positive stay in this unit. We appreciated the proximity of many places. Many we could reach by bicycle. The property was as advertised. The view was awesome and it was a very easy walk to the beach. The only minor thing was that the bathrooms were a little small but that would not prevent us from returning. Thank you so much for your feedback! We are all so glad you enjoyed your stay on Sanibel! We hope you will stay with us again when you return! We had a comfortable, relaxing vacation. Hi Peggy, thank you so much for your feedback! 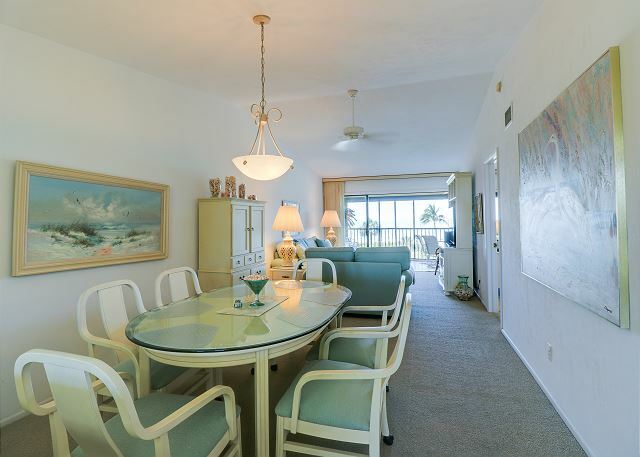 We are so happy you enjoyed the condo and your time on Sanibel! We hope you will stay with us again in the future!